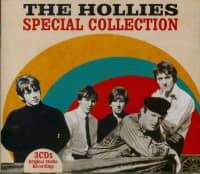 The successful English group, which placed no less than 27 single hits in the international charts between 1963 and 1975, was formed in 1962 from an amateur band called'The Deltas'. 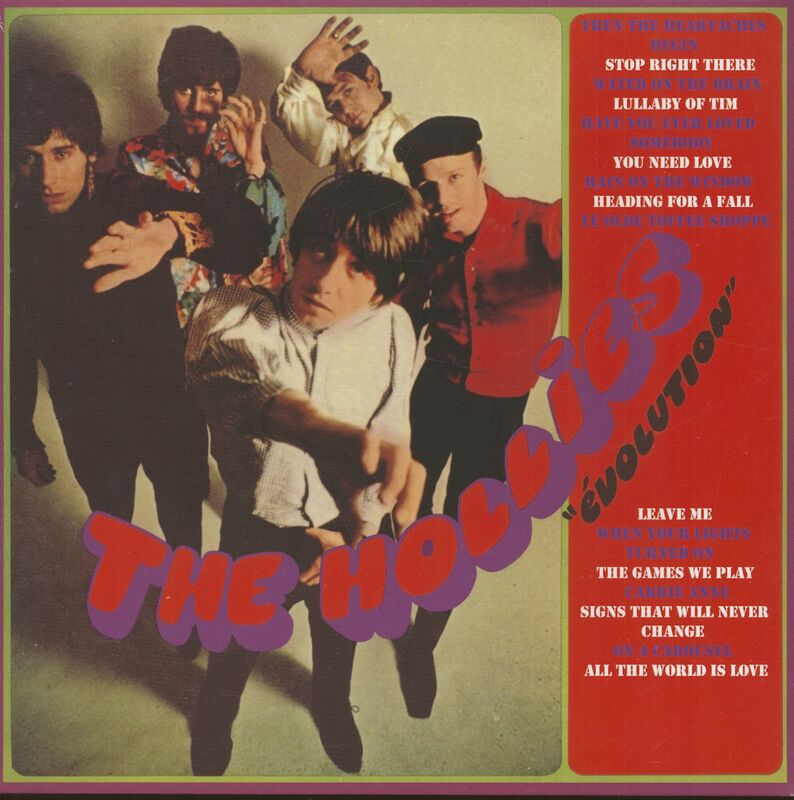 The core of the group consisted of Graham Nash, Allan Clarke, Don Rathbone and Eric Haydock, who were joined by Tony Hicks as lead guitarist. 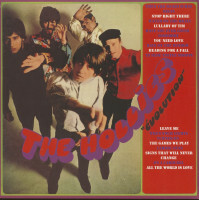 In 1966, Bobby Elliott joined the group for Don Rathbone. 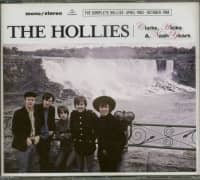 The Hollies suffered the substantial loss when Graham Nash left the band in late 1968 to work in the States with David Crosby and Stephen Stills. Terry Sylvester, former guitarist of the Swingin' Bluejeans, stepped into the gap left by Nash. At the end of 1971, singer Allan Clarke, whose distinctive voice allowed the Hollies to distinguish themselves, decided to leave the group and start a solo career. 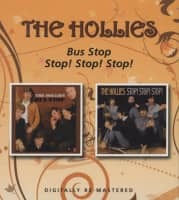 Since this project did not succeed, it was not too difficult for Hollies guitarist Terry Sylvester to get Clarke to return to the group. 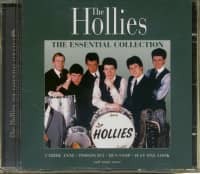 With Clarke as the new, old singer, the Hollies immediately made the hoped-for comeback. With their last titles, such as'The Air That I Breathe', they returned to the top positions in the hit lists without detours. 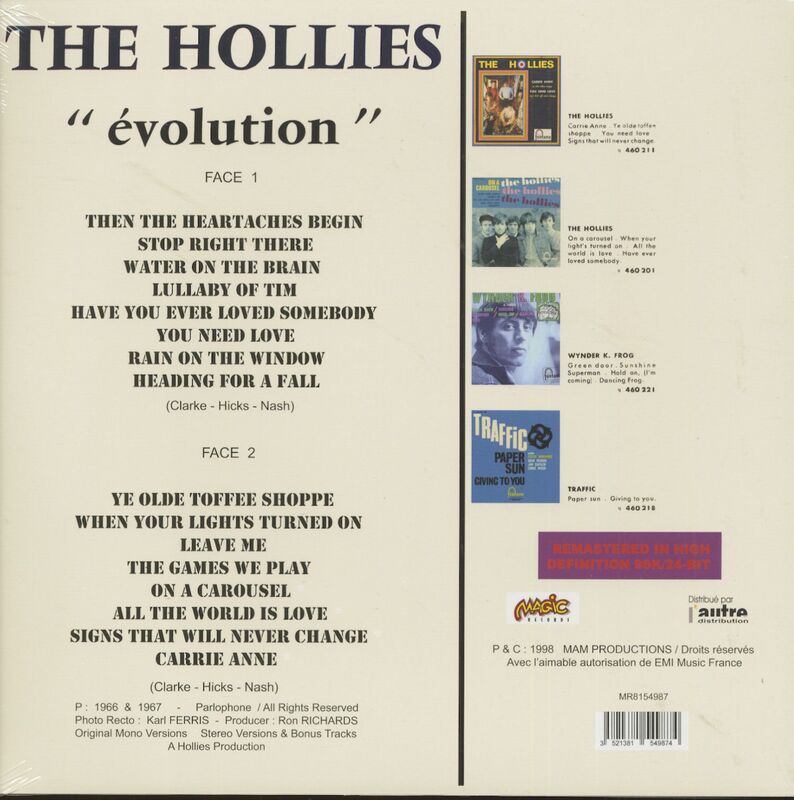 Customer evaluation for "Evolution (LP)"